Unmissable thanks to its glittering golden roofs, the Royal Palace serves as the official royal residence of King Sihamoni, meaning parts of the sprawling palace grounds are closed to the public. However, the Throne Hall and surrounding buildings, as well as neighboring Silver Pagoda, can be visited, and you can take in intricately decorated temples and buildings, among manicured tropical gardens. 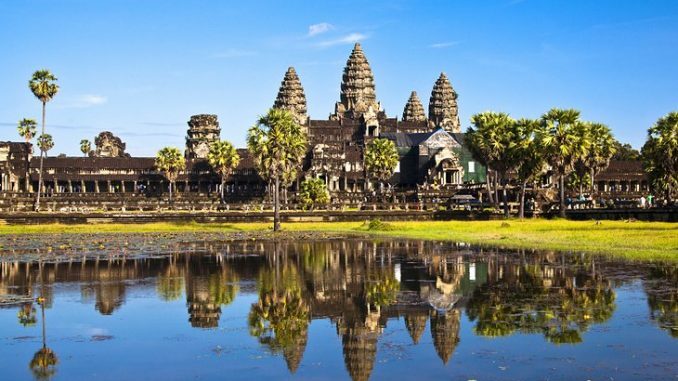 Cambodia’s lesser known UNESCO site is well worth getting off the beaten track to visit. The stunning temple complex, which sits on the border of Thailand, boasts fewer crowds and a more authentic taste of the Khmer kingdom. Breath-taking views from its summit can be enjoyed. Looking for Private Villa Siem Reap? The laidback riverine town of Kampot has oodles of old world ambience. The compact central district is a joy to ramble around; full of surviving shop-house architecture, some of which has been painstakingly restored. Kampot’s charm lies in its exceedingly chilled out atmosphere, and many a traveler finds themselves waylaid here longer than they expected, having succumbed to its easygoing pace. For the more active though, this is also an excellent base for discovering the surrounding sights of the south. The old French summer getaway of Bokor Hill Station, with its abandoned church and eerie, empty shell of an once-grand hotel, is an easy day trip from town, as are the limestone caves of Phnom Chhnork and Phnom Sorsia, both with old temples inside.